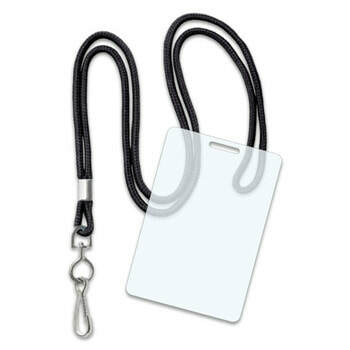 Our ID badge kits conveniently combine laminating pouches with ID accessories. Our ID badge kits conveniently combine laminating pouches with ID accessories. These badge kits come in sets of 100 (100 pouches with 100 round black economy lanyards). Our laminating sheets are made of high quality, high clarity laminating film and premium adhesive resins; these thermal laminating pouches are compatible with all popular laminating machine models from brands including Akiles, Sircle, Tamerica, Banner, GBC, Fellowes, and Scotch.